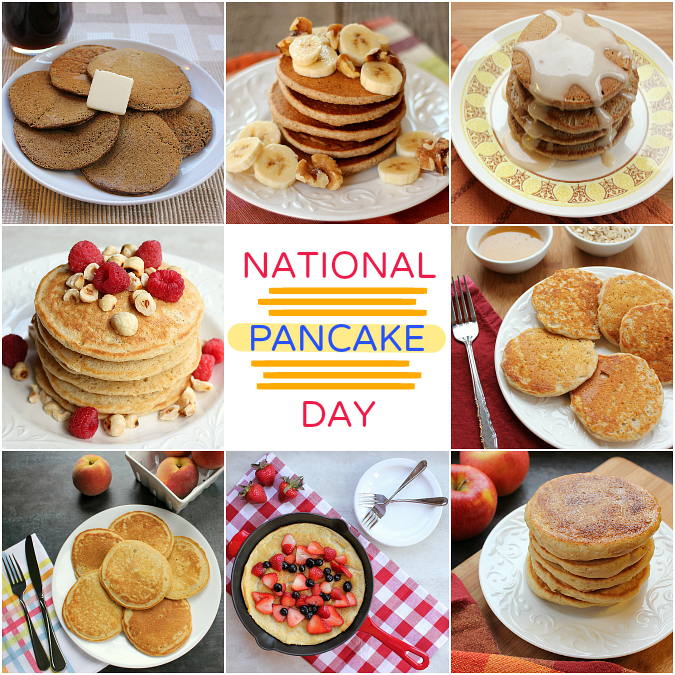 it's national pancake day today! we absolutely love pancakes. we just made a delicious batch of apple fitter pancakes on sunday morning with some of the apples we picked when we went apple picking. here are some of our favorite pancake recipes . . .
you can even make your own chocolate chip pancake mix to keep for yourself or to give as a give to a friend to celebrate national pancake day too! They all look delicious. I am hungry for breakfast again. Yum! The display looks delicious.